If you want to keep things soothing but still want some flair, opt for an oversized pattern in a neutral color scheme. Beige and cream make this playful pattern appear understated. If you’re going for a bold look, don’t be afraid of colorful patterned wallpaper like this. 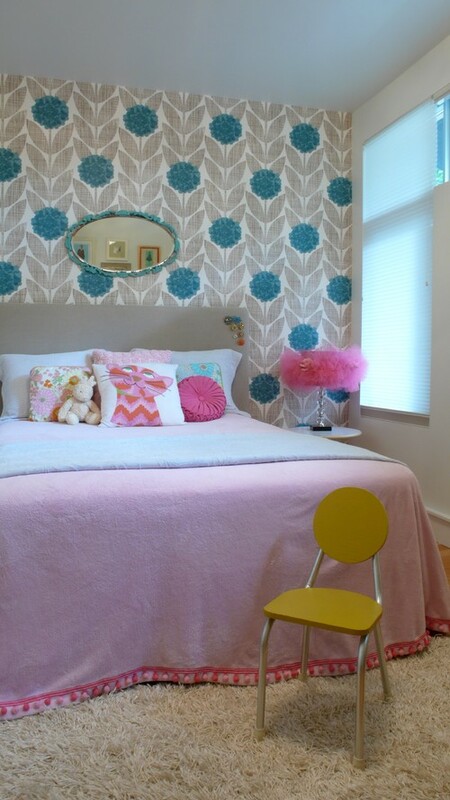 Kids wallpaper doesn’t have to be adorable–it can have a geometric edge and still be playful. 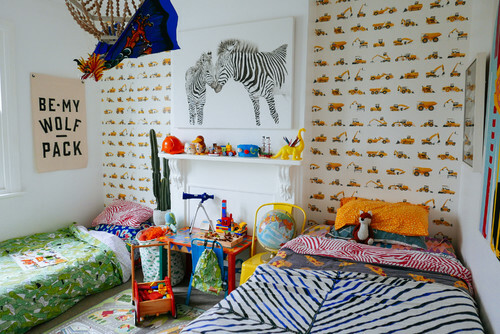 Though this wallpaper is in a playroom, we’d think it’d be amazing in any room of the house! The lovely red print is makes it fun enough to be kids wallpaper, though it’s chicness would complement your style in any room. Kids’ wallpaper in fun pattern in a neutral color palette can be an understated layering piece for a child’s room or nursery. It allows their toys and books to truly pop! Get a hipster vibe with modern kids’ wallpaper, like this vintage-inspired design. It’s fresh and contemporary with a retro twist! Pops of color can truly make a room a ray of sunshine! This playful wallpaper brings an unexpected element to this bedroom. Looking for your own amazing kids wallpaper? Check out the incredible collection at Canvas On Demand.